King Edward VII School, Glossop Road, Sheffield. 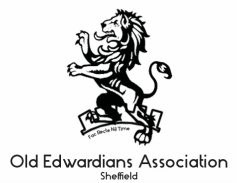 As per long founded tradition the 2019 Old Edwardians' Association Annual Dinner will be held on Maundy Thursday 18th April 2019. ​Following the closure of our traditional venue of Baldwin's, Psalter Lane, Sheffield we are delighted to announce that the dinner will be held at the Upper School on Glossop Road, Sheffield. As a result the numbers attending will be strictly limited to 120. Please ensure that you do not leave booking until the last minute as we may not be able to accommodate you. The guest speaker will be John Beckman (1952-59). John is Emeritus Professor at the Institute of Astrophysics on the Canary Islands where he currently resides. We are looking forward to welcoming him back to the School. Please make every attempt to attend the dinner as this is the Associations' main fund raising event and proceeds are used to support many facets of the school. We had over a hundred and twenty attendees last year. Let’s see if we can improve on the numbers this year. Because of the nature of the venue it would be sensible to book your seat as early as possible. The cost this year has been retained at £35.00. Please reserve …………. places for the Dinner. I enclose a cheque for £………. ( per person) payable to: The Old Edwardians' Association. You can also pay by bank transfer. Please include OEA Dinner in your description. The Old Edwardians' Association, 5 Cliff Gardens, Pye Nest, Halifax, HX2 7DE.